I came across an interesting paper that explored how the drivers of customer satisfaction changed in the event of a service failure vs. normal service, and how different types of failure influenced what factors were most important in driving customer satisfaction. The paper is entitled “The Impact of Service Operations Failures on Customer Satisfaction: Evidence on How Failures and Their Source Affect What Matters to Customers”, was authored by Shannon W. Anderson, L. Scott Baggett and Sally K. Widener, and was published in the journal “Manufacturing & Service Operations Management”. An open access version is available here. The context of the research is airlines, the service failure is flight delays, and here is the gist of the paper. The authors found that, under normal circumstances, the key factors impacting on customer satisfaction were employee-customer interactions, and the personal space on board. Factors such as the cleanliness of the aircraft and the amount and quality of food had a little bit of importance, but not much. Factors such as timely departure and arrival, or having a quiet flight, weren’t significant. Then, the authors tested for two types of service failure. First, they tested for the impact of a failure caused by factors outside of the airline’s control – in this case, a delay caused by bad weather. Predictably, they found that the delay reduced overall satisfaction levels. They also found that the order of importance of each factor was not altered, even though the relative weight of each factor had changed. That is, the interaction between employees and customers was still the most important factor, followed by the amount of personal space on board, the cleanliness of the aircraft, the amount and quality of food available, timely departure and arrival, and, lastly, having a quiet flight. However, in the case of delay caused by external events, the interactions with staff became even more important in driving customer satisfaction than under normal circumstances, while the impact of timeliness doubled. The authors also tested for how a service failure (i.e., a delay) caused by internal factors would impact on customer satisfaction. First, they found that overall customer satisfaction in the event of an internal failure was lower than in the case of an external failure. The authors also found that customer-staff interaction was significantly less relevant in the case of an internal failure. So, staff may be less able to impact positively on service recovery in the case of a failure caused by the company than when the failure is caused by an external factor. 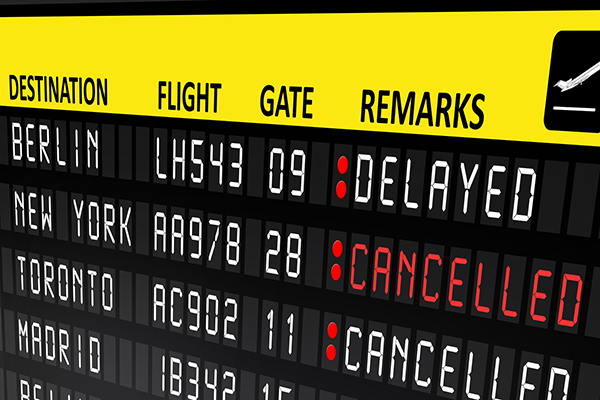 All other factors (except for cleanliness of the aircraft) were more salient in driving customer satisfaction in this service failure scenario, than when the delay had been caused by the weather. That is, service failures impact not only on the overall level of customer satisfaction, but also on the role of the various service elements on customer satisfaction, and even the relative importance of each element. In other words, the answer to the question “What factors matter the most for our customers?”, is “It depends”. We need to understand the drivers of customer satisfaction, and their relative weight, in different scenarios, not just for normal service delivery. The focus on the various elements of the customer experience needs to change in the case of service failures, and depending on the (perceived) type of failure. If the cause of the service failure is an external factor beyond your control, you want to communicate that clearly to your customers, as that will have an impact on the level of customer satisfaction. Posted on May 1, 2018 May 1, 2018 by anacanhotoPosted in Marketing in everyday lifeTagged Airlines, Customer satisfaction, Service failure, Service recovery.